f you haven't been following the news this past week, you probably haven't heard the big announcement by HP. 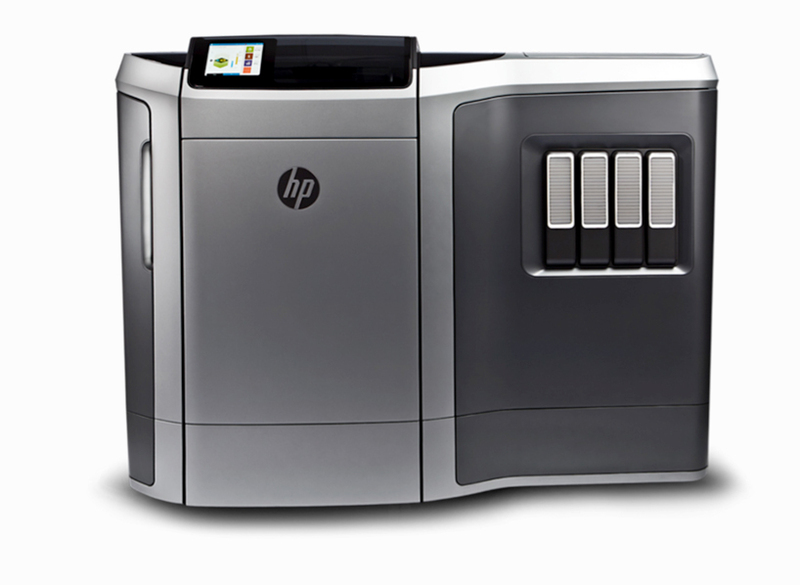 In 2016, the company will be releasing a new super-fast 3D printer called the HP Multi Jet Fusion. What's unique about the printer design is that it can print by fusing ink onto material layers, meaning objects can be created up to 10 times faster than existing technology. They also hope to be able to print with more colors that don't fade by using better quality plastics and other non-plastic materials. We wanted to delve a little bit more into this exciting advancement. It seems like there are new developments every day when it comes to printing and printer design! Today we wanted to highlight two new innovations in the printing world. 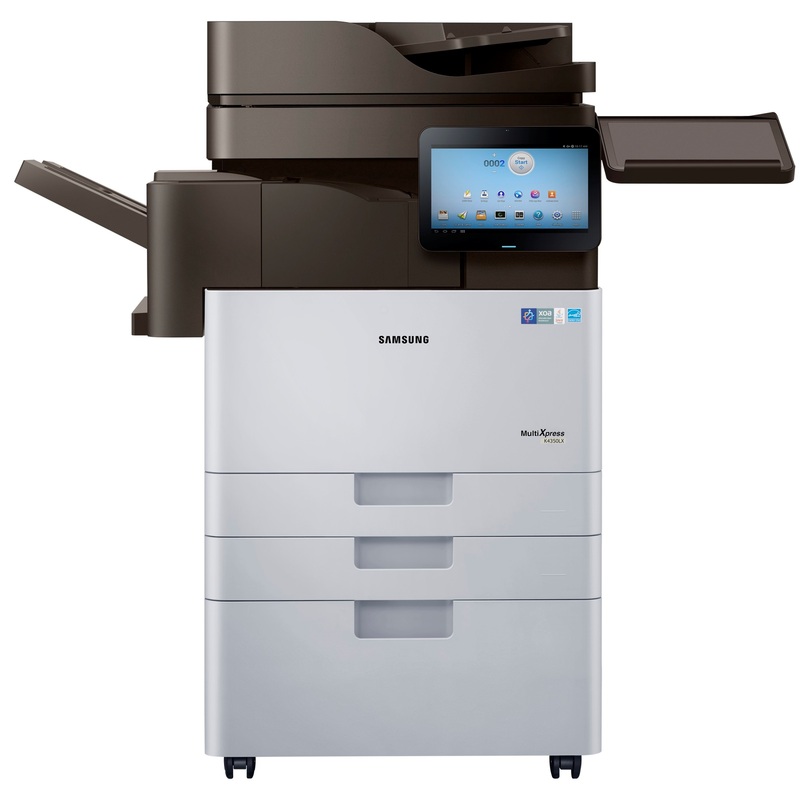 The first, courtesy of Samsung, brings office printers into the 21st century with large, colorful touchscreens and mobile-centric interfaces. The second, courtesy of HP, revolves around securing printers, which have become hotbeds for hackers, especially in business environments. No matter what innovation is taking place, we want to keep you informed and knowledgeable as a potential consumer. HP has long been an innovator in printing, including the recent announcement they would be detailing 3D printing technology in October. While we are excited to see how they enter the 3D printing world, we wanted to focus on their most recent release: the ink-based enterprise printers. These machines are designed for businesses, combining the speed of laser printing but reducing costs by half. We wanted to take some time to explore what makes these new printers special. Printing machines can range in all different sizes, price ranges, and offered features. While at one time printing machines used to only be used by newspapers and publishing companies, printers are now accessible for anyone whether they are used for business or personal. If you’re looking for an inexpensive printer with just basic printing capabilities, you can find a deal as low as $30. However, for any individual or company who uses their printer frequently, additional capabilities will become more and more important. For large offices that print hundreds of documents daily, it would be inefficient to have a printer that runs at slow speeds or requires significant upkeep. For large offices that need to get the most out of their printers, you should expect to spend a minimum of $500. With that said, some of the highest quality printers will run into 5 digit numbers. If your business has the financials to spend thousands of dollars on a printer, you’ll need to ensure the printer will fit the needs of your business. Frequently, the largest producers of large office printers will be made by well-known brands such as Canon, Lexmark, and HP. The familiarity of these brands will make it easier to purchase replacement Canon, Lexmark, or HP toner cartridges. Introducing “8 Things You Must Know Before You Buy Your Next HP Laser Printer: A Buyer’s Guide from 247inktoner"
Whether you’re shopping for your home or office, buying the right HP printer can seem like an overwhelming task at first. With so many choices available, how do you find what’s best suited to your needs? It can be hard to distill mountains of information down to what you really need to know. On top of that, industry-related lingo can leave you feeling like you’re trying to decode an alien tongue. If you’ve always wished for some help from a reliable source when it comes to investing in an HP printer, you’re not alone. Everyone wants to be a savvy shopper, but not everyone has the know-how. That’s why we’ve created a buyer’s guide that anyone can use. Our brand new buyer’s guide lays out how to filter out the noise and zero in on the most functional, economic model for you in terms you'll actually understand. It includes definitions for key terms to help you understand each printer’s specifications. It also has a guide for model numbers. You’ll learn about the long-term costs of owning a printer versus the sticker price and how to save by reducing your printing across the board. Inside, you’ll find handy and easy-to-use price comparisons, surprising facts about printers and much more! Empowered consumers make the best decisions for their businesses and homes, so make this buyer’s guide an essential part of shopping. Just enter your e-mail to receive a PDF copy. You’ll be on your way to making sure you and your HP printer are a good match-- one that lasts a long time and keeps you feeling happy and productive, no matter what project you're working on! While printing dates back to the mid-15th century, wireless printing has only become commonly used in the last two decades. Wireless printing is, as the name clearly states, the ability to use a printer without a wire or a cord connecting the printer and computer. This will allow you to print from any computer within appropriate range of the printer, which will most likely be anywhere within your home. The average distance for wireless printing is approximately 100 feet, but this can vary based on the manufacturer. This wireless technology allows multiple family members to print from their personal computers to the same household printer. USB Cable: Many wireless printers will come with installation software and a USB cable. If you connect the printer and computer using the USB, you will be prompted to follow the installation guide setup steps. Once completed, you will be able to remove the USB and print wirelessly. Wireless Setup Wizard: Using this method, you can setup wireless printing directly from the printer itself using either its control panel or touchscreen. You’ll need to follow a few quick steps and enter answers for questions such as the name of your wireless network and password. Wi-Fi Protected Setup: Similarly to the wireless setup wizard, you can also use this method using the printers control panel or touchscreen. If your home already has a WPS router with a push-button, after following a few printer setup steps, you will be able to push the button to activate the printer wirelessly with your computer. Printing from personal computers is the most common form of printing and has been around almost as long as the computer itself. This form is used in offices and homes worldwide and while the printing technology has remained mostly the same, printers themselves have gotten more advanced. The printer supply industry generates over $100 billion dollars a year. This includes not just printers, but also the ink cartridges or toner cartridges supplies. However, since smartphones and tablets hit the marketplace, the need to print from all technological forms grew as well. Since this need was growing, different mobile applications created by each leading manufacturer such as HP and Epson began emerging for both tablet and smart phone use. What are my Options for Wireless Mobile Printing? Bluetooth printing: Perhaps a more outdated technology, Bluetooth printing is primarily used with mobile phones, yet unlike Wi-Fi, your phone must be used within a few meters of the printer. This is best for phones without a Wi-Fi connection that are enabled for Bluetooth printing. Apple AirPrint: This is a great option for anyone who uses an Apple device whether an iPad or an iPhone. However AirPrint only applies to software versions 4.2 or later. There are several printers that are compatible with AirPrint including many Epson and HP models. Just locate what you would like to print on your phone, locate the print button (no application download needed), and your phones software will find all AirPrint printers in range you can print from. HP ePrint: This application can be downloaded directly from your mobile phone. The app is not only compatible with most HP printers, but is also compatible with Word, Excel, PowerPoint, photos, web pages, and more. The easy to use interface makes it simple to print documents, images, or web pages. If you have the appropriate printer and the application downloaded, make sure your printer is stocked with HP ink cartridges. Brother iPrint&Scan: This app can also be downloaded directly from your mobile phone and is compatible with most Brother printers. In addition to an easy-to-use interface, the Brother app also allows you to set up scans from your smartphone and send results wirelessly to your printer. Don’t forget to fill your office or home printer with Epson ink cartridges before sending documents to print. Printer applications have now become mainstream for most large manufacturers and have become expected by consumers. In the future, we can expect that most new smartphones will come with already enabled printing features, making the setup and installation process easier and easier. Nothing is as frustrating as running out of printer ink and having to interrupt your work to run out and buy more. This is one reason that it pays to keep spare ink on hand. By stocking up on affordable compatible ink cartridges, you should be able to avoid this conundrum. With that being said, it's still nice to have an idea about how much ink is left in an HP printer. The good news is that it's relatively easy to check HP ink levels. Learn a few of the top ways to do so below. If you have an older printer, it may not offer a quick and easy way to check ink and toner levels. On modern printers, for example, you can usually do this through the control panel on your computer. Some printers even show ink levels right on their displays. If neither of these options is available, try printing a statistics page instead. Check your owner's manual to find out how to do so. The statistics page will include a huge array of information, including HP ink levels. You may even be able to find out how many pages can be printed with the current supply of ink. Make sure your printer is connected to your computer and that it is online. It needs to be turned on as well. Click on the Start menu, which is located at the bottom-left corner of your desktop. Click on "Settings," and then click on "Control Panel." In some instances, the "Control Panel" option may appear immediately after opening the Start menu. You may also be able to search for what you need with the search field at the bottom of the screen. In some cases, you may have to click on "Print Settings" from the Start menu. From there, navigate over to the "Printer Toolbox" section. Locate the "Printer and Faxes" section or something with a similar name. Your printer should appear on the list. Right-click on your printer and select "Preferences." Click on "Service this Device." A window should open. Look for an option that says "Estimated Ink Levels" or something similar. After selecting this option, you'll be presented with a visual representation of how much ink or toner is left in the cartridges in your printer. If you print on a regular basis, you should get a feel for how long an ink cartridge is going to last. However, it's a lot nicer to be able to quickly and easily check your printer's ink levels. If none of the above suggestions work, check your printer's owner's manual. You could also search for the specific model number of your printer online. By knowing how much ink is left in your HP printer, you won't have to worry about running out in the middle of an important print job. Even if you're fully aware of how much ink is left, make sure to keep spare ink or toner cartridges on hand. When ink does run out, you will be ready to go with a new cartridge. To get the most out of your HP fax or all-in-one printer, you should use high-quality supplies. Compatible ink works perfectly well, and it allows you to save money. Even if you are careful about using the right supplies and are diligent about maintaining your machine, errors may still occur. With HP fax machines, error codes are used to alert you to problems. By noting these codes and finding out what they mean, you can usually resolve your HP fax problem in no time. Although there are many HP fax error codes, most people only encounter a small handful of them. The most common ones are highlighted below. It's fairly unusual to get HP fax error codes when sending faxes. Most of the error codes that you'll receive will occur when you are receiving faxes. If you have an error code when sending a fax with your HP machine, there is one easy way to remedy the situation: Disable V.34, which is also known as the modem control. Instructions for doing this should be listed in your machine's manual. It's actually quite easy to do, and your problem should be resolved. 232 Code - This means that some kind of communication error has occurred between the two machines or programs. It can also mean that the power has been interrupted or turned off entirely. In most cases, you just need to try again. If the problem persists, you should disable the error correction mode, or ECM. 252 Code - When this code appears, it means that your phone line is not capable of receiving faxes properly. Sometimes, this is a temporary issue and goes away after awhile. Other times, the phone line itself is to blame. You may be able to get around it by reconfiguring your HP fax to receive at a slower speed. 200 Code - In this case, your fax session has timed out. Just try again in a few minutes. 242 Code - This code means that your machine is confused. The other machine may be trying to receive a fax instead of sending one, or it may already be in the process of receiving another fax. The only way to handle this is by waiting for a few minutes and trying again. 227 Code - If your HP fax machine displays this code while trying to receive a fax, it means that the incoming fax is not supported by the machine. You may still be able to receive it though. To do so, you will have to reconfigure the speed at which your machine receives faxes. Slowing it down usually does the trick. If you run across a code that isn't listed here, it could mean that your HP fax is experiencing more serious problems.